During the planning process, we will assist the local church as they determine how to launch this important ministry to their congregation. We emphasize to the church this is a biblically based ministry and not a fundraising program or capital campaign. The focus of this ministry is on helping faithful givers connect heaven-inspired generosity with easy action. Studies have shown that on average it takes about three years for a church to implement and cultivate a legacy ministry so it becomes a part of the educational culture of the church. 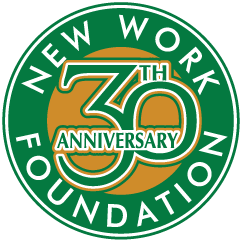 For the New Work Foundation, this is a commitment to partner with the local church. We recognize that believers will be ready to plan their estates with an eye toward honoring their faith and family at different times in their lives. We believe the local Church — God’s people — can have a powerful impact on this world. Our ultimate goal is to encourage thousands of area Christians to be intentional and purposeful with whatever God has given them … by connecting their faith with their relationships, expertise, and resources. Please complete the brief response form below to begin a Legacy Ministry in your church.